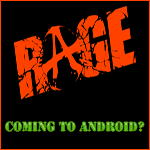 Word has it that id Software is considering releasing their newest hit game, Rage, onto the Android platform. During QuakeCon 2010 live keynotes, id announced that they would be bringing Rage to the iPhone/iPad and that the Android platform was being considered. Rage by id Software is the newest addition to their FPS line of games; it has become extremely popular and received three Game Critics awards this year at E3: Best Console Game, Best Action Game, and Special Commendation for Graphics. 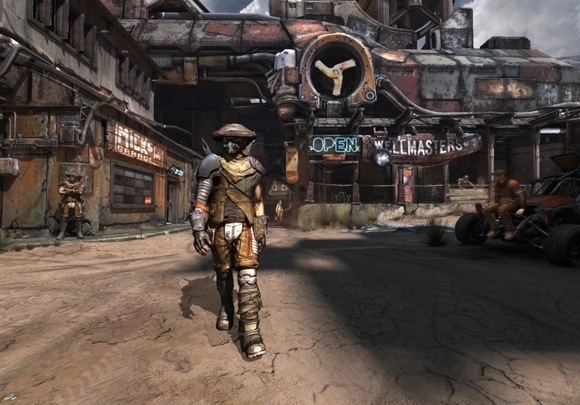 Currently only available for the PC, Xbox360 and the PS3, Rage was demonstrated during the live keynotes at QuakeCon 2010 running on an iPhone 4. One would think that the FPS (frames-per-second this time - not First Person Shooter) on a heavy graphical game such as this must have been around 2FPS but actually it was running at a steady 60FPS (!). The entire keynote was not only focused on the fact Rage is coming to the iPhone but that Android was also a possibility. Considering the hardware of new Android phones, the performance would easily equal that of the iPhone 4 demonstration, if not better. All of this is possible thanks to id Software’s new visual game engine, id Tech 5. The game itself will not be small in size either, as the iPhone version will require a couple hundred megabytes of storage space. Considering this, if Rage does make its way to Android, then it will more than likely only be for phones with Android 2.2 or higher that support the new official Apps2SD feature. According to John Carmack of id Software, Rage coming over to the Android platform is being considered but no final decision has been made as of yet. It would be surprising if id Software decided not to bring it to Android - Android's growth and continuously improving hardware should make the OS quite appealing to them. Here's what we'll leave you with: imagine this game with that PSP GO-like Android phone Sony Ericsson is rumored to be developing. This combination is full of win. Should id Software follow through with this, what would you be willing to pay for a game of this magnitude?